Club open Mon, Fri, & Sat. Cocktail Lounge open nightly. How much is table service at The Argyle? 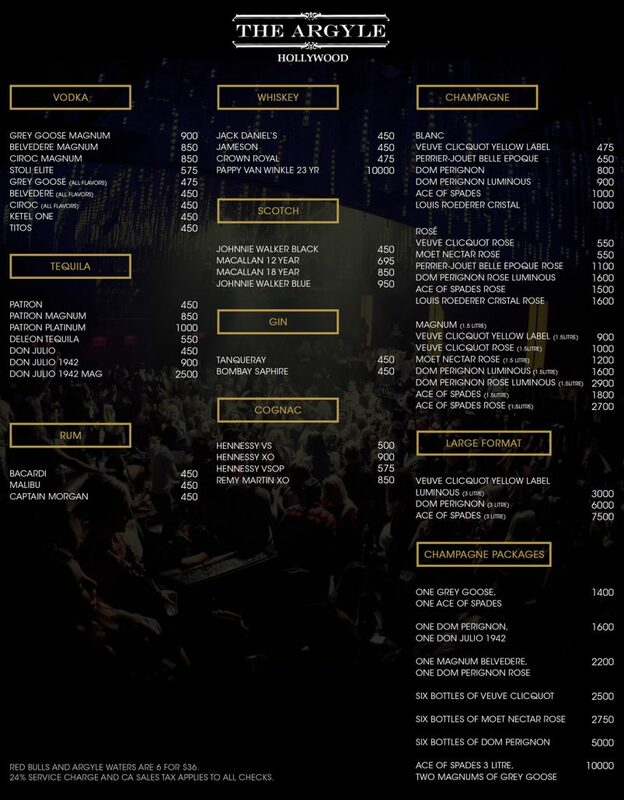 As far as table service goes, the Argyle is on the more expensive end. Minimums range from 1500 to 3000 on most nights. 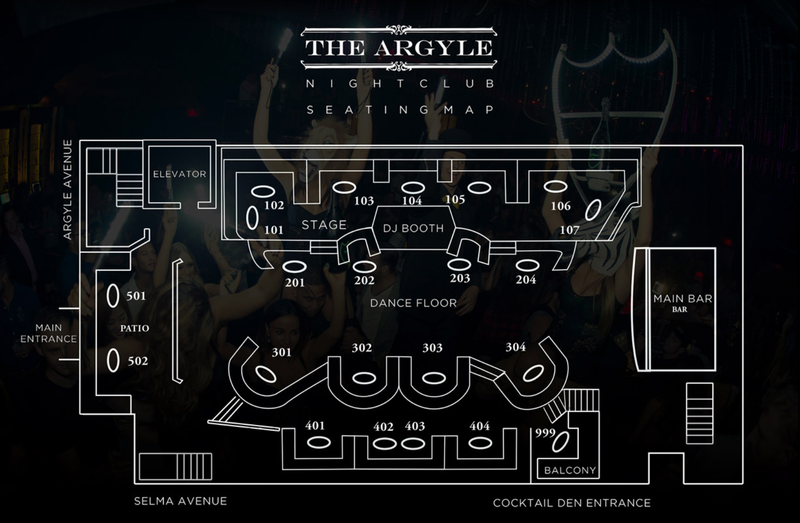 Which is the best table at The Argyle? The stage table is definitely the best table, but the Argyle is fairly small and almost all the tables have pretty solid location.